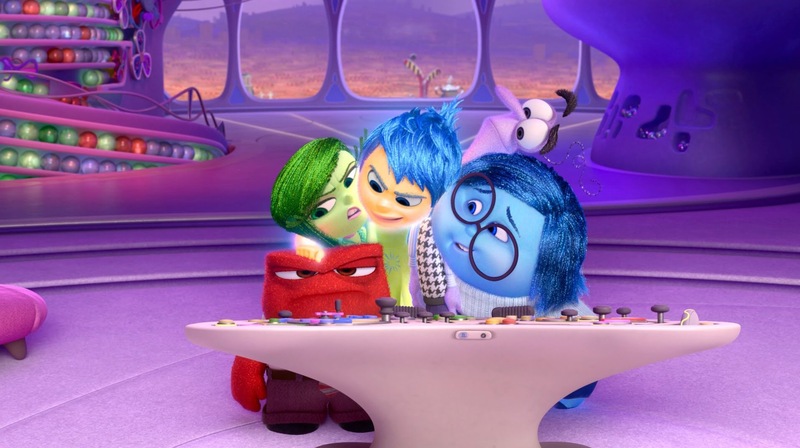 Inside out is a beautiful movie about the emotions of a 11year old girl named Riley and her experiences of moving from Minnesota to San Francisco. At first you hear from Joy and how most of Riley’s life has consisted of happy moments making joyful memories. There is also anxiety, disguist, anger and sadness. All five work together with Riley but Joy works very hard to keep Sadness out. Make sense, right? To be happy, you can’t be sad. However, Riley begins to go through an emotional shift on her first day of school and after her father becomes slightly distance starting his new job. Her “core memories” take a turn for the worst–destroying her old ways of feeling about her friends, her family, and even what it means to be her “goofy” self. These experiences cause havoc in Riley’s emotions. Joy (the born leader) and Sadness to fall out of their normal headquarter and into the long term memories. They travel through Riley’s , run into her imaginary friend with the song-powered wagon who end up saving them and helping them get back to Riley’s core mind and emotional center. There are several moments that really make you think–especially the ending where all the emotions realize no one memory is controlled by one emotion forever. Sadness and joy realize they need to work together to be a healthy person and to help Riley Get through life. There are also plenty of moments where the emotions have a rational thought despite being controlled by one type of feeling or thought. And there are plenty of moments of laughter because whatever the character just said is the one thing you wish everyone would say out loud but doesn’t. 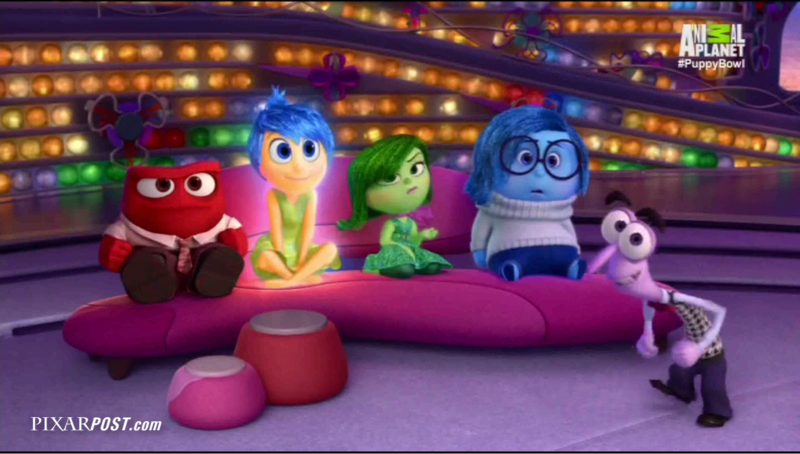 Inside Out is a new set of movies trying to open people up to talking about feelings–ALL OF THEM. I hope live action and animation take more advantage of a topic that could help millions of people. Keep it up, learn something fun or new and continue to laugh. Thank you Pixar! 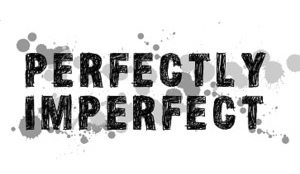 This entry was posted in Adventures in Writings, Theological ThinkTank and tagged emottions, inside out review.